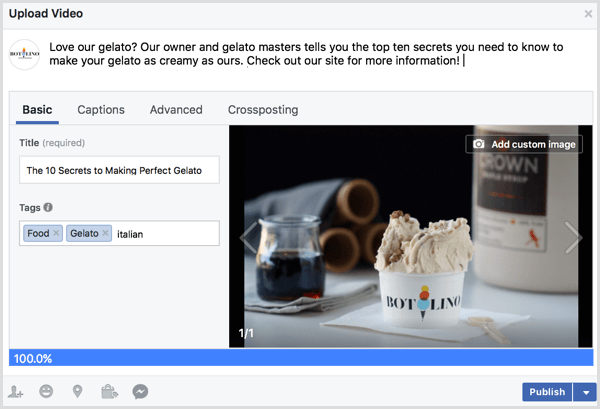 Does your business use Facebook video? Do you want more people to watch your videos all the way through? 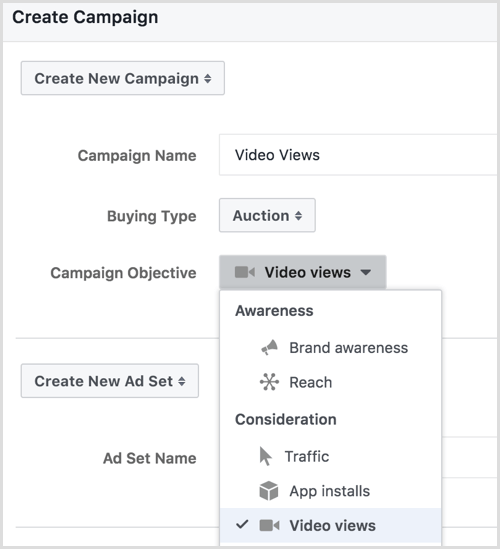 In this article, you’ll discover how to set up a Facebook ad campaign that generates longer Facebook video watch times. 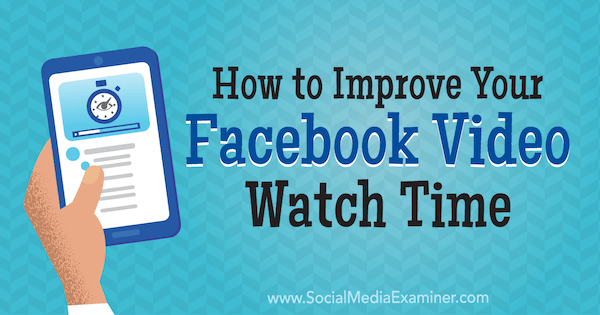 How to Improve Your Facebook Video Watch Time by Paul Ramondo on Social Media Examiner. 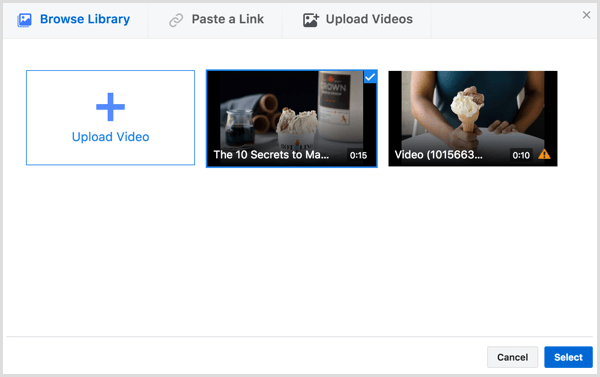 Many marketers upload their video directly into the Facebook ad system, but this strategy works most effectively when you upload the video to your page’s video library instead. You can find your video library under the Publishing Tools section. On the right, click the Upload button to upload a new video. While you can choose videos in any format, it’s best to go for a widescreen video with an image ratio of 1920 x 1080 pixels. This choice allows mobile users to turn their phones and watch the video in landscape mode, providing the absolute best user experience. Remember, to get to 100% video completion rates, you need to create the best user experience possible so people will stick around to watch your video. This is particularly important for longer videos, including vlogs. The exception to this is micro-content. If you’re creating shorter videos (2 minutes or less), square aspect ratios (1080 x 1080) are the way to go. 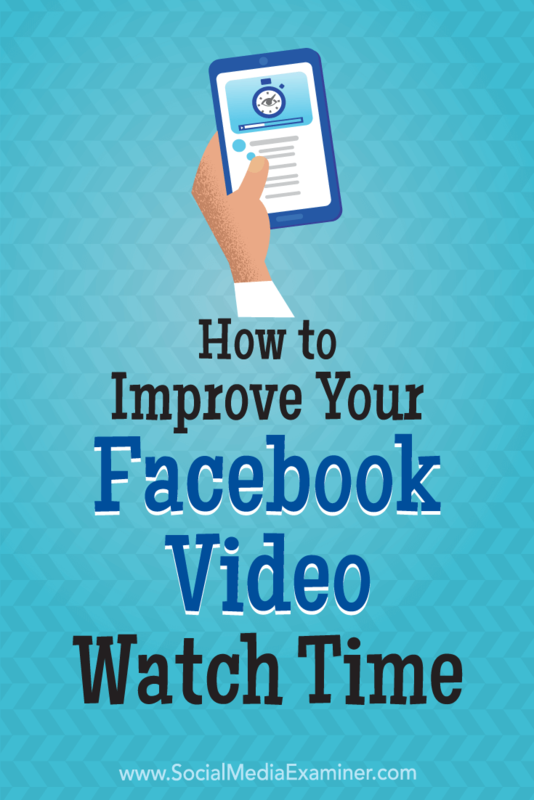 After you’ve chosen your video and uploaded it to Facebook, it’s time to optimize it. Choose your video title carefully and add an engaging, attention-grabbing description that ends with a call to action (CTA). You’ll also want to add relevant tags. For this example video about gelato, we’ll use Italian cuisine, food, and gelato. We’ll also add tags like Top Chef and the Food Network because those tags are associated with audiences that love watching content about food. Next, upload an SRT file, which adds captions to your videos. You can use transcription services like Rev to type them up for you. Captions are incredibly important because videos will autoplay without sound and you’ll need the captions to keep people around. Facebook also favors videos with SRT files because it can analyze the content of the video and show it to the right people, which will directly benefit you. Finally, upload a custom thumbnail. Choose a high-quality image containing less than 20% text. If the image has more than 20% text, you could lose out on placement in Facebook ads. To check the amount of text in your image, you can use the Image Text Check tool in the Facebook ads Creative Hub. It will tell you if you have too much text. Now that your video is optimized and ready to go, the next step is to schedule it. This allows you to time your ad campaign to go live at the same moment the organic video does. Scheduling the video organically instead of uploading it just as an ad also gives you the benefit of commenting on it first (I’ll discuss why this is important in the next section) and letting it reside in your video library permanently. To schedule the video, click the small blue arrow next to the blue Publish button. 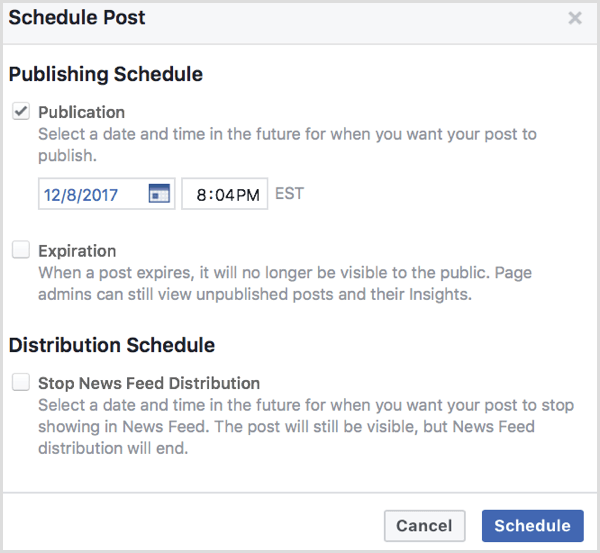 Click the option to schedule the post. Choose the date and time when you want your video to be published. If your video is time-sensitive or offers a temporary discount, you can choose to have it taken off your feed after a certain date or time. Once you do this, click Schedule. Before the video goes live, add the first comment. You can apply this strategy to blog posts and social media posts, too. When you make the first comment, it can increase watch times and clicks significantly. To get that 100% viewer completion rate, you need to be using every tool at your disposal, and that first comment is one of them. After your video is scheduled, open your video in your video library to leave the first comment. Your video is ready, so now go to Power Editor to create your ads. When you’re creating your ad, choose the Video Views objective. This will show your ad to people most likely to watch your video for a longer period of time. 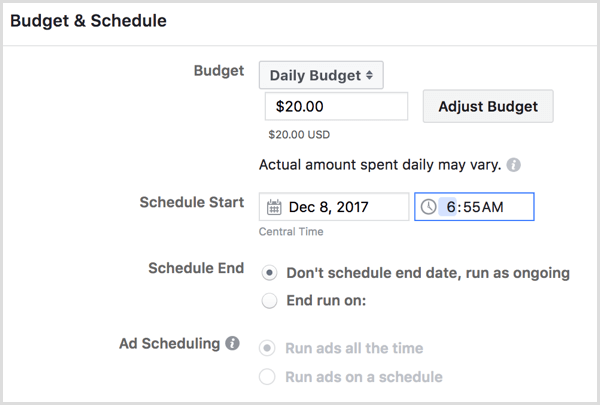 At the Ad Set level, choose your budget and then set your video ad to go live at the same time your organic video will be posted. Below this, choose your ad targeting. 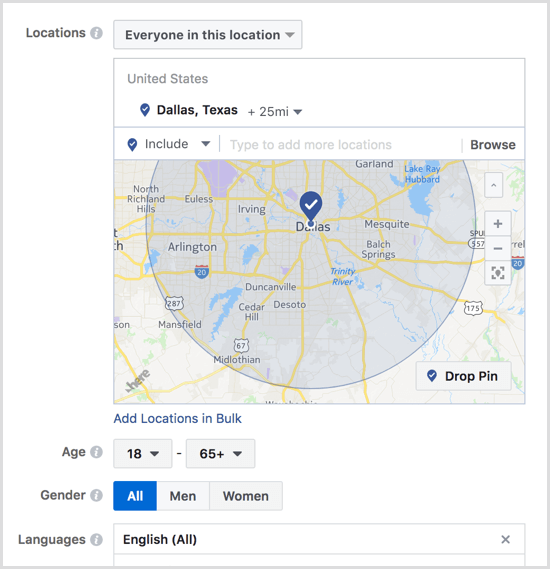 Consider demographics and interests, much like you do for the tags you place on your organic video. To increase viewer retention rates, you should also target based on language; there’s no point showing your video to people who don’t speak the same language. 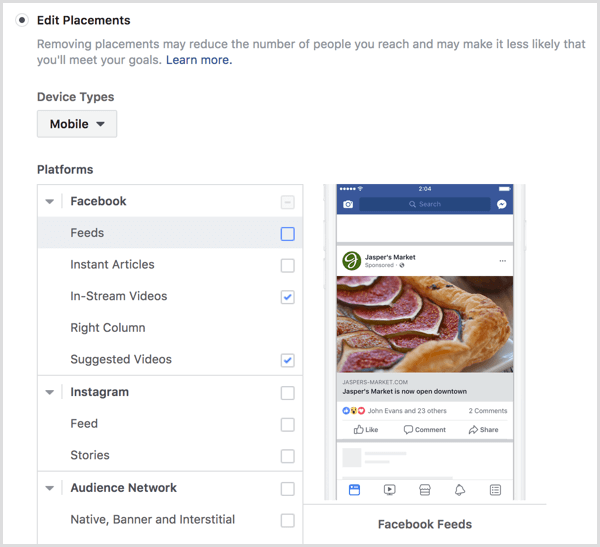 For placement, choose Mobile Only and delete the Instagram and Audience Network placements. This will leave you with the in-stream video ad and suggested feed video ad placements. People who’ll see these videos are already watching video content, and psychologically they’ll be ready to watch yours, which can mean higher retention rates. At the Ad level, select the video you uploaded and add a CTA. Just make sure that your pixel is enabled and you’re ready to submit your ad for review. What Kind of Results Can This Produce? Using this strategy, the video promoted in the tutorial below achieved a 100% video watch rate, meaning that all of the users who saw the video watched it all the way through. The cost per 10-second view was exceptionally affordable, coming in at $.02 and a total ad spend of $69.41 for 382 people to watch the video all the way through. That’s just $.18 per 100% Facebook video watch time, which is particularly impressive because the promoted video content is a 15-minute vlog. Video ads are an excellent opportunity to build brand awareness, thought leadership, and even conversions. The key is getting users to stick around and watch long enough to get those benefits, and the strategy detailed above will help you do just that. Remember to always split test content to optimize for best results and monitor your campaigns closely. Follow the outline above to create video ads that can land 100% viewer completion rates while still being cost-effective enough for small businesses to afford. What do you think? How do you increase video viewer retention rates? Have you used any parts of this strategy? Share your thoughts, knowledge, and experience in the comments below. Paul Ramondo teaches entrepreneurs how to generate leads and sales using Facebook Ads and digital marketing funnels. Click here to download his latest Facebook Ads Case Study.